Receive a detailed reading and gain insight regarding the gifts and challenges of a certain situation or what is generally happening in your life. 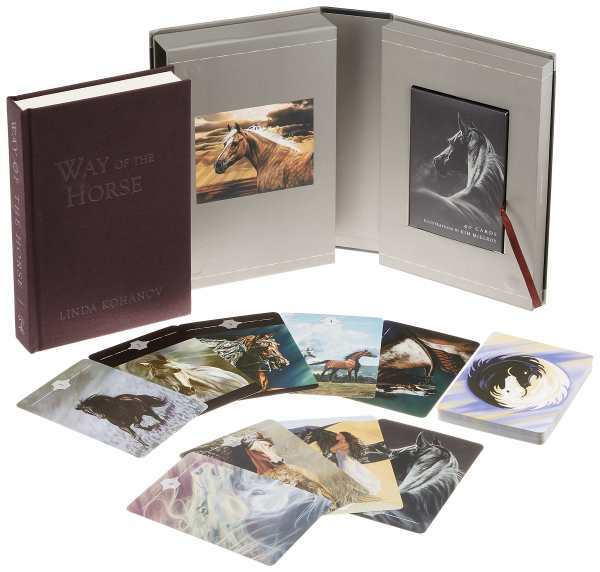 I utilize the Way of the Horse: Equine Archetypes for Self-Discovery – A Book of Exploration and 40 Cards oracle deck with my readings. The 5-card detailed reading covers the following aspects: the central issue, what is most conscious or obvious about the situation, what’s on the horizon, the subconscious factor, and what’s happening at a deeper level of consciousness – a suppressed part of your psyche, possibly a blind spot, a hidden talent or something you’ve rejected in yourself. How to I order an intuitive oracle card reading? You have the option of asking a question regarding a certain situation or receiving a general reading. My readings are healing, empowering, uplifting and positive. When posing a question keep in mind that your reading will provide you with insights into the gifts and challenges regarding your situation, not yes/no answers. A general reading without a question is always a good choice too. What does my relationship have to teach me? What do I need to reach my full potential? What is the nature of this conflict? What is the gift behind this challenge? How can I renew my relationship with my spouse? How can I bring more harmony into my life? What is creating blocks preventing me from achieving my goals? Hi Tania, The reading really seemed to be dead on. The key element of fear is definitely one that I am battling as my husband and I are going through a divorce and so many changes are and will be occurring. As I have not done a card reading before, I found the different levels of consciousness intriguing and I could really relate to your interpretations. The reading was really pretty amazing. Thank you so much. K.
"Tania's readings are enriching and informative on many levels. She's gentle and concise at once, giving very detailed and intuitive information. There is enough in her readings to discover layers within each aspect of the reading, and I consider her readings deep, reflective and very intelligent. She's spot-on and gives a lot of consideration; I'd recommend her readings for everyone." E.
Thank you so much for the insightful and direct healing! These cards and your interpretation make so much sense and help release doubt through confirmation 🙂 ~W.